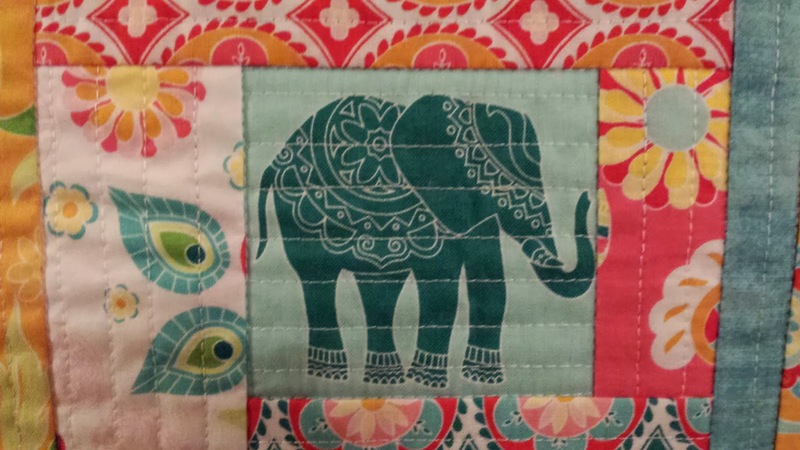 Way back in October, I ordered the Quilt As You Go class on Craftsy by Tara Rebman. Tara blogs at tinkerfrog.blogspot.com and is amazing at the quilt as you go technique! I was having such a difficult time deciding what to give my son and his girlfriend for Christmas. Then one day my son was over and was looking through my quilt tops. He saw one that he liked, so I thought I'd just quilt it and have it done in time for Christmas. Ummmm....then I hit the point where I just knew that I wasn't going to have time to bind it, and then I remembered my Craftsy class and thought I'd try sewing a pillow for each of them. Brilliant! I knew that I would make his girlfriend's out of Madhuri because she's really into elephants right now. I love how this turned out! I loved it so much that I wanted to keep it and make her a different one! 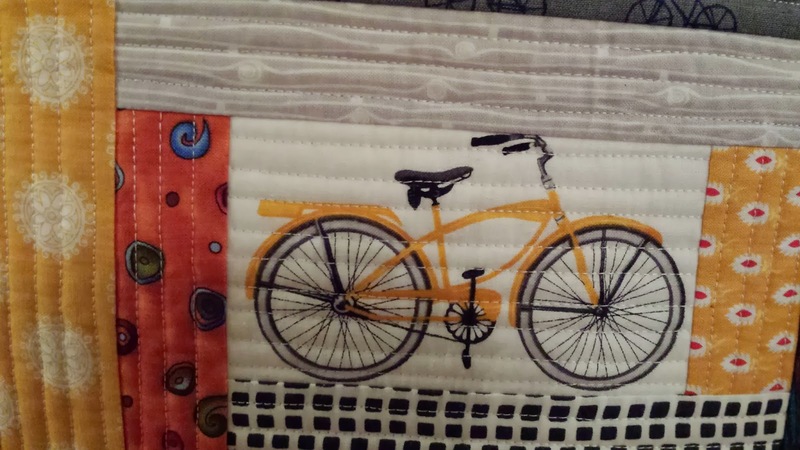 For my son's, I wanted to make his with a bike theme because he rides his bike everywhere. He doesn't even own a car. He is also a bike delivery person for a local sandwich shop, so pretty much lives on his bike. 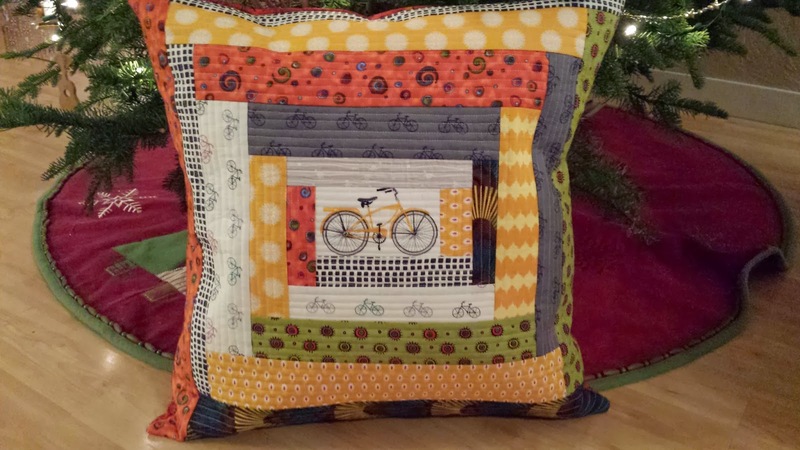 If you want to make a quick gift for someone, check out the QAYG class on Craftsy. 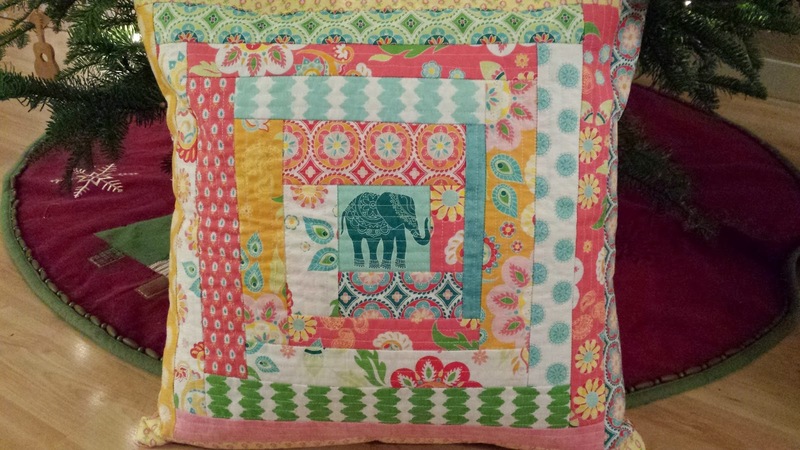 This pillow isn't one of the items in the class, but I just basically followed the instructions for the pot holder, and then got some tips for dimensions and basic pillow construction on Sew Mama Sew.